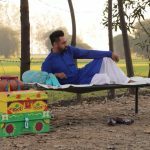 Superstar of Punjabi Cinema, Gippy Grewal’s latest offering Carry On Jatta 2 is not ready to slow down on weekdays as well. 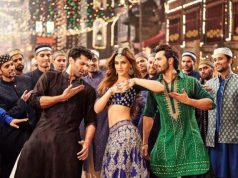 After the record-breaking opening weekend, this Punjabi romantic comedy is showing superb performance on normal working days across north India and adding good numbers to its account. 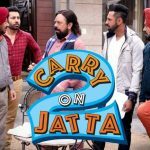 Directed by Smeep Kang, Carry On Jatta 2 is the second installment of the very popular Punjabi franchise Carry On Jatta, as a result, it was released with huge buzz among fans as well as the audience. As expected, the film got succeed to entertain everyone and gained strong word of mouth. 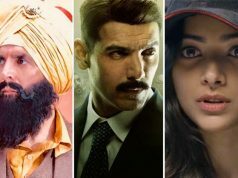 Starring Gippy Grewal and Sonam Bajwa in lead roles, White Hill Studios’ presentation opened on an exceptional note and registered the highest opening of all time in Pollywood with 3.67 crores gross. Over the weekend, it showed a healthy growth and grossed the amount of 4.26 crores on Saturday and 5.22 crores on Sunday. After the opening weekend, the total collection of Carry On Jatta 2 was recorded at 13.15 crores gross (9.47 crores nett) at the domestic box office. Now the film is running on weekdays and still has a strong hold over the audience. On Monday, it faced a drop of only 7% than Friday and did the business of 3.41 crores gross. On the next day i.e. Tuesday, Gippy-Smeep’s latest collaboration witnessed further decrement in footfalls and bagged the amount of 2.90 crores gross. With this, the total 5 days collection of Carry On Jatta 2 has become 19.46 crores gross (14.01 crores nett) from Indian screens.